I’m Backkkkkkkkkk! 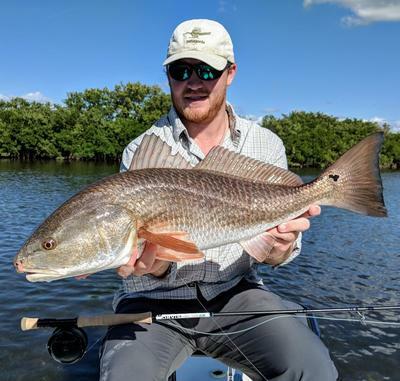 After taking a short sabbatical from writing fishing reports and fishing in general, my latest venture Reel Florida Fishing Charters is finally up and rolling for the 2019 season. Although most of my 2019 fishing charters will be dedicated primarily towards fly fishing (per my 1 year noncompete) all readers should still find our reports appealing whether you’re interested in spin or fly fishing. So with that being said let’s start off this new chapter in fishing adventures with an AWESOME report and a few photos from some of our most recent trips. As we roll into February and most of the country is still “trying” to thaw out many visiting anglers have asked me the same question in recent weeks, “What has all of this cold weather done for fishing in the Crystal River and Homosassa areas?” As a life long resident of the area and 17 year veteran guide I for one can’t remember a time when our area has seen such a prolonged tenure of cold and wet weather. The downfall of all of this cooler weather is that it has taken a toll on our Gulf water temperature in recent weeks but the silver lining behind all of this crummy weather is that our fishery has seen a very limited amount of pressure since the start of the New Year. Fewer boats equals less spookier fish and when fish are relaxed especially our primary backcountry targets Redfish, Speckled Trout, and Snook they can easily be fed using a variety of baits, lures, and flies. 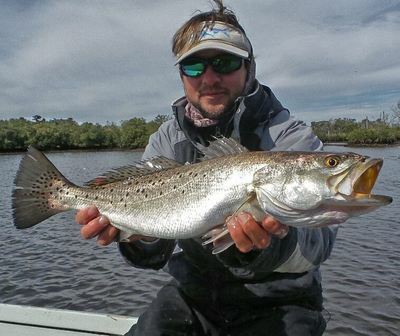 Normally this time of year the flats of the Nature Coast are crystal clear which makes sneaking up on a tailing Redfish or sunning Speckled Trout a fun challenge. Since cooler water temperatures have actually helped to slow fish movements over the past week I’ve actually been able to maneuver my skiff with in 20 feet of certain fish before being detected. When an angler is able to get this close to their targeted fish and visually see their reactions to certain baits and flies one can learn a ton about their targeted species. What we’ve learned over the last few trips is that the tidal phases offering the lowest tides present the best opportunities for success. Anglers fishing flats featuring small rocky holes and sandy potholes at low tides will find a plethora of species all congregated in one area. Holes featuring rocky edges will typically hold healthy amounts of Redfish and Sheepshead while sandier holes tend to fill up with Speckled Trout and Snook. 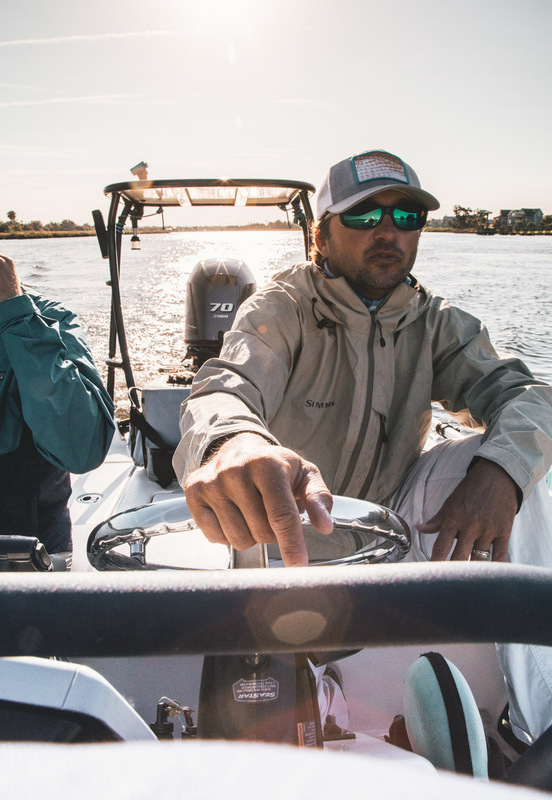 Targeting these shallow water holes requires a stealthy approach but once you get within casting range free lining a live shrimp or slow stripping a shrimp fly such as a “craft fur shrimp” or “redfish slider” is the only recipe needed for success. During the periods of less than stellar weather when it has not been possible to get out on the water I’ve been helping a number of anglers perfect their “double haul” casts. A double haul cast is a cast used in fly fishing that helps anglers increase line speed while also helping with accuracy and adding distance. Our lessons usually consist of an hour long casting instruction on land followed up by a couple of hours fishing in the Kings Bay of Crystal River for Jack Crevalle and Ladyfish. For those anglers that are new to fly fishing or for those adults that are interested in taking a child fishing, the fresh water bays and rivers of Crystal River and Homosassa are loaded with Ladyfish right now. Catching 15-20 fish an hour is usually no problem and all that’s needed is a few small soft plastic jigs or plenty Clouser Minnows. Fast retrieves followed by short pauses will ensure a consistent strike from feeding river Ladyfish.